Completed in 2006 AERL features a state-of-the-art Immersion Laboratory that simulates real-time underwater and coastal habitats. 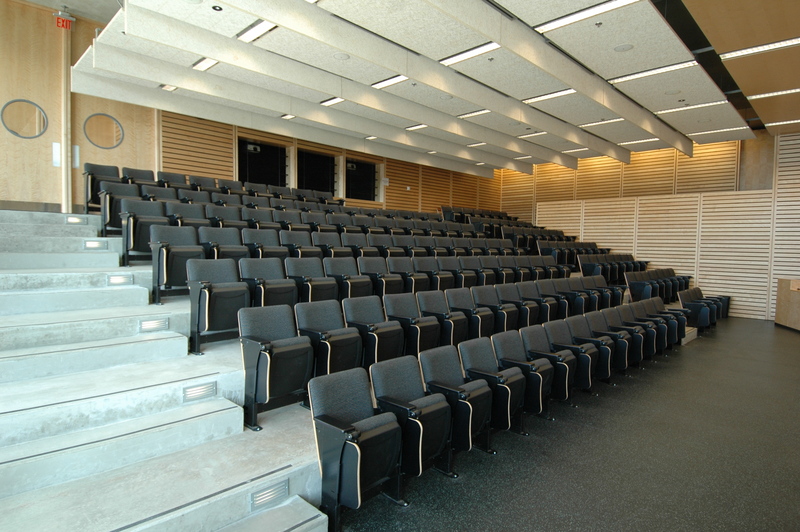 The Canada Green Building Council has awarded LEED-BC Gold Certification to UBC-AERL. 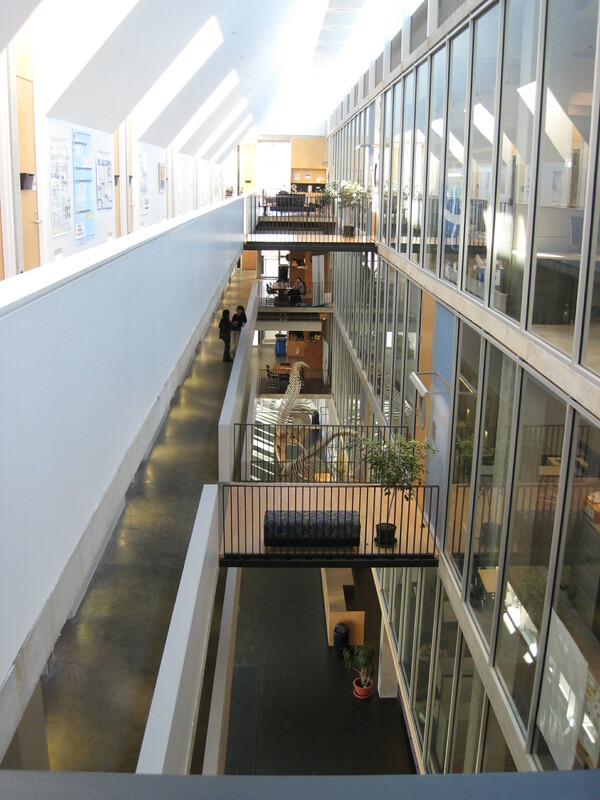 A large central atrium acts as a natural ventilation stack and eliminates the need for mechanical ventilation systems. In the summer, concrete surfaces are naturally cooled in the evening, providing radiant cooling for the upper three floors during the day. Thanks to the efforts of AERL staff and student volunteers, this was the first facility on the UBC Point Grey campus to have a building-wide composting program. 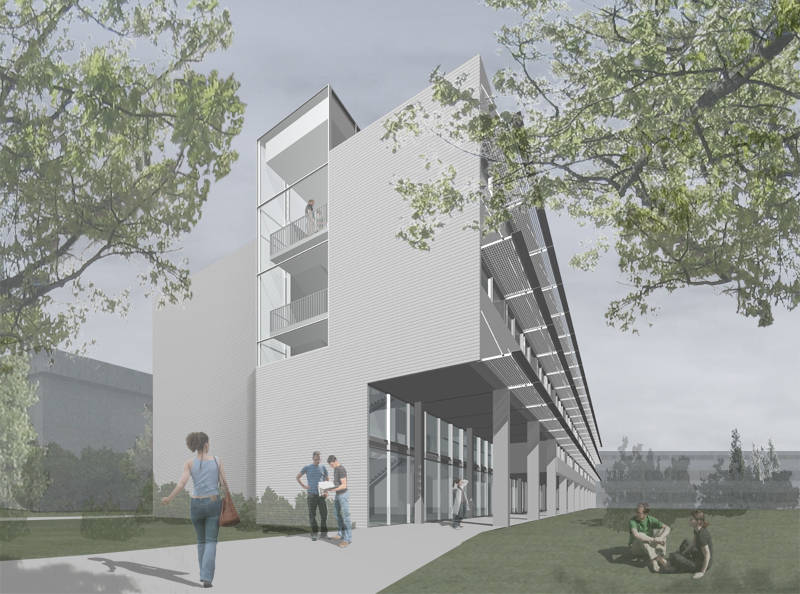 Sustainable Sites: Located at the UBC Point Grey Campus on the University Main Mall and close to University Boulevard, AERL provides excellent access to public transportation and a covered bike area with showers for cyclists. 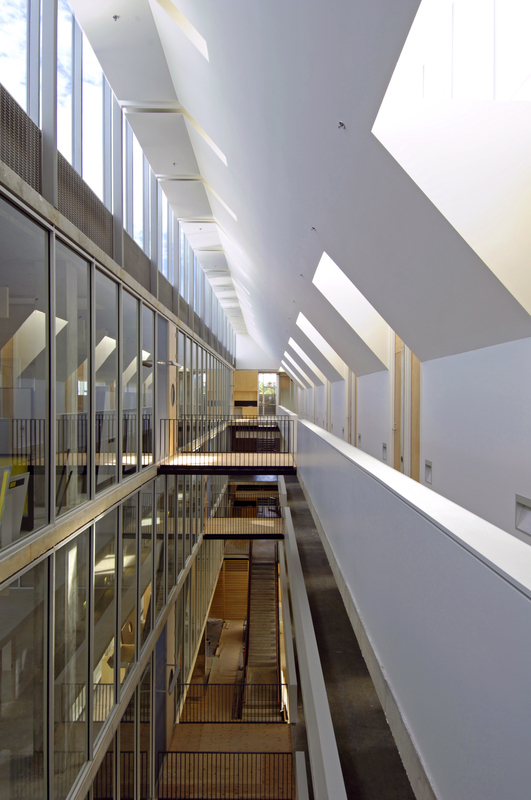 Energy & Atmosphere: AERL is organized around a central atrium that connects all four levels providing visual interest and space for natural ventilation via thermal stack effect. Overall the building saves approximately 301.3 MWh of energy and reduces the amount of equivalent CO2 by 40.5% per year. To further offset CO2 AERL purchased Green Power Certificates equivalent to 100% of the buildings electrical consumption. Water Efficiency: AERL uses no water for irrigation and reduces the amount of potable water used for faucets and toilets by 41%. Materials & Resources:AERL diverted 77% of its construction waste away from the landfill. The building also contains 24% recycled materials & 46% of all the materials used are regionally manufactured. Indoor Environmental Quality: AERL made extensive use of Low VOC products including adhesives, sealants, paints & carpets. Also urea-formaldehyde free cabinetry & countertops were used throughout the building. Innovation in Design: AERL achieved exemplary performance in recycled content, water use reduction, 100% green power and regional materials.